The Microtoxin injections are ideal for those who want a subtle decrease in their lines while preserving their expressions. This technique was devised in order to eliminate the “tightness” sometimes introduced by the patients after anti-wrinkle injections. The principle behind microtoxin injections is to dilute the effects of anti-wrinkle injections and give multiple superficial tiny injections into the dermis or between the dermis and the superficial layers of the muscles to weaken them. The neurotoxin also acts on the sweat and sebaceous glands imparting a nice sheen to the face and reduce the wrinkles akin to “ironing a crumpled bed sheet”. Frequently treated areas for micro toxin injection use are the under-eye wrinkles and fine lines, horizontal forehead lines, and the neck etc. This technique of micro-toxin injections is a great option for those people who want a completely “natural” kind of appearance, want to get rid of stubborn lines and a smooth texture and beautiful complexion of the skin. This technique was devised by Dr. Woffles Wu with whom Dr. Rajat has personally worked and been trained in the same. 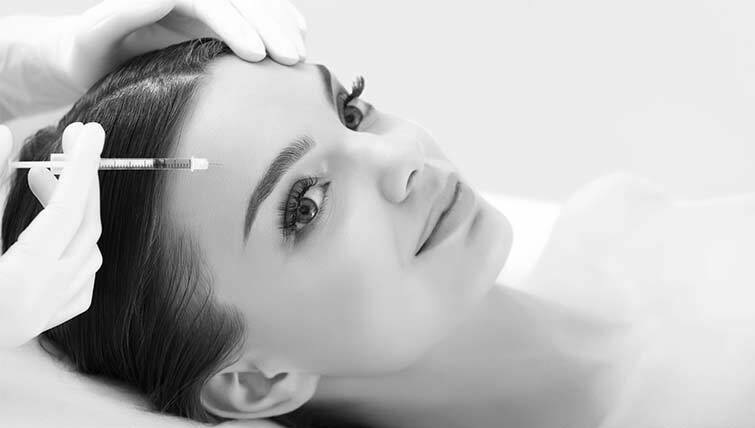 Dr. Rajat combines the conventional technique of injection with the microtoxin technique to impart the best results to the patient and give a beautiful eyebrow lift effect in women. This technique also works beautiful for the aging neck and open pores. For the neck the procedure is done all over the neck up to the masseter muscle to ease out the platysmal insertions (muscle draping the full neck which is responsible for the creases and fine lines on the neck) near the jawline and give a mini neck lifting effect. This procedure is typically combined with the traditional injection technique on the lower face for the maximal benefit. 1. The diluted toxin gives a very “natural” appearance and refreshed look to the face. 2. Decrease in the oiliness on the face and the appearance of open pores. 3. Restores firmness and gives a mini face lift or mini neck lift appearance.